Atkinson, Hamill & Barrowclough, P.C. - Phoenix Law Firm | Arizona Commercial Law Attorneys | Atkinson, Hamill & Barrowclough, P.C. Atkinson, Hamill & Barrowclough, P.C. in Phoenix, Arizona represents businesses and financial institutions in matters of commercial real estate, commercial law and contracts. The attorneys at Atkinson, Hamill & Barrowclough, P.C. have more than 95 years of combined legal experience and have a demonstrated track record of achieving positive results. Atkinson, Hamill & Barrowclough, P.C. works to understand your business needs and realistically assesses your legal situation. The attorneys devise innovative strategies to ensure your business’s best practice, the enforcement of contracts, and compliance with state and federal regulations. In matters of litigation, they work tenaciously to secure favorable outcomes for clients. To schedule a consultation and find out how Atkinson, Hamill & Barrowclough, P.C. can serve your business interests, call the firm today. Informed by Experience – The attorneys at Atkinson, Hamill & Barrowclough, P.C. have more than 95 years of combined legal experience successfully representing clients. They use their extensive knowledge and expertise to the benefit of every client to help you reach your business goals. 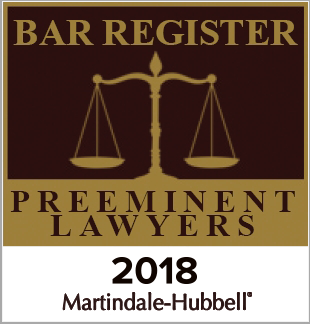 Well-Respected – The attorneys at the firm are nationally recognized in the Martindale-Hubbell® Bar Register of Preeminent Lawyers™ as AV® Preeminent™ Peer Review Rated by Martindale-Hubbell® — the highest rating available for legal abilities and adherence to ethical standards. Current – To ensure high-quality legal advice, the attorneys at the firm stay informed of commercial and legal trends and the effects that they have on your business. Commercial law is an ever-changing entity, and the attorneys work diligently to ensure that their knowledge is up to date, so as to best advise you and to serve your business needs. Commercial Real Estate – In commercial real estate matters, Atkinson, Hamill & Barrowclough, P.C. assist clients in all aspects of real estate transactions, and in litigation arising out of real estate disputes, construction, easements, financing, leasing and land use. Joseph M. Atkinson is certified as a real estate law specialist by the State Bar of Arizona. Commercial Law – In commercial law, the attorneys at the firm strive to provide effective and efficient representation in complex commercial matters such as purchases and sales of businesses, drafting and reviewing contracts, regulatory compliance, and dispute resolution. Business Litigation – The attorneys at the firm offer business litigation services in pursuing or defending disputes involving contracts, security agreements, commercial leases, and other business agreements. To schedule a consultation today, call Atkinson, Hamill & Barrowclough, P.C. at 602-222-4828 or contact the firm online.